Were you the little kid that loved to jump off every fence or roof and flap your arms like a humming bird to try and fly? Learn to soar along-side the birds without power or pollution. Paragliding is the safest and easiest way to learn to fly. Combine the soft landing and simplicity of a parachute with the soaring flight of hang gliding and you start to see the safety through technology that paragliding offers. Make no mistake, this is not parachuting. Paragliding employs all of the flight physics of any aircraft wing that is able to lift itself above launch height and beyond. We do not jump off cliffs or bridges but rather gently run off of green grassy hillsides. You don't have to be big or strong. Paragliding is a finesse sport that women do just as well as men. So, "LIVE YOUR DREAM" and fulfill yourself by learning to fly. And where better than Hawaii? Hawaii's year round sun and tropical weather make it a perfect destination to fly any time of year. Hawaii is the Big Island! Come and fly the mystical lands of Pele, the Ancient Hawaiian Goddess of Fire. 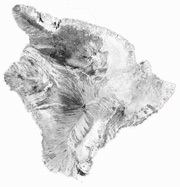 Hawaii is the largest island in the chain that share her name. She could hold all the other Islands within her shores with room to spare. Hawaii is home to the World's most active volcano, Kilauea, as well as two mountains over 13,000 ft. This majestic and diversified terrain accomodates novice to advanced flying. Paraguide Hawaii is a Big Island company of United States Hang Gliding & Paragliding Association (USHPA) certified paragliding instructors providing all yourTraining , Tandem and Site Guide Services. Our instructors and para-guides are dedicated to Safety First while providing an enjoyable learning environment to expand your flying skills and yourself. Don't wait any longer to stoke the magic in your life. Fulfill this dream and it will change your life forever! 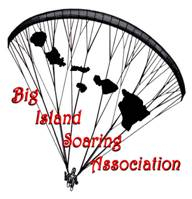 Come Fly the Big Island with Paraguide Hawaii!